There are two major questions asked here: What is the essence of Jeremiah Tower’s reputation, and why did he sign on as executive chef with a failing brand? 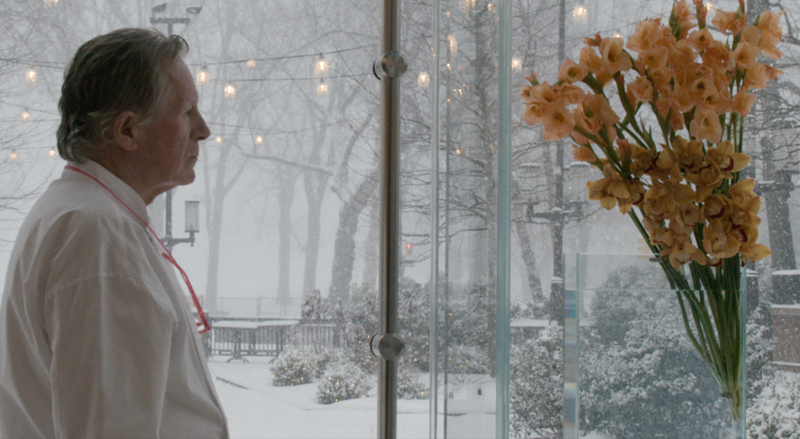 By the time we get to the point in Jeremiah Tower: The Last Magnificent, a documentary about the prominent chef’s rise and tumultuous fall from public standing, at which that second question must be asked, it’s clear that we care about the answer. It’s a considerable achievement on the part of director Lydia Tradaglia, who has crafted a fairly standard, meat-and-potatoes biography here, but who understands that, sometimes, it’s the details of a life that make the story of such a life as interesting as it is. And Tower is quite the memorable individual. He presides over the kitchen by his mere presence. A former general manager describes it as his dominion, and that seems fairly accurate. He witnesses every appetizer, entrée, and pudding that crosses his path, with “eyes in the back of his head” to detect a wrongful morsel of food, and he scolds the cooks and the links in between on the chain of command if perfection is not met. He does these things, not out of petty spite for his underlings, but out of an abiding love of food. We get a sense of the man’s past, informed by an experience early in childhood of being separated from his parents and being introduced to an exotic plate of barracuda that opened his taste and smell senses to a world brand-new to him. A youth and young-adulthood were complicated by a complex and uncertain view of his own sexuality that was still considered taboo. The creations of Chez Panisse and, later, Stars, two restaurants of renown, would put his name on the map – the latter in particular for its tendency to draw major names in upper-class celebrity circles, such as within the opera world. We get a sense of the man’s present, complicated greatly by the liquidations of both Chez Panisse and Stars (the latter in a very final way after an earthquake), which leads to a lengthy reclusion from outside society. Friends, of whom there are a number (many of those interviewed as talking heads here), admit that they don’t really know the man underneath the visage of stern acumen. This helped Tower to disappear in the truest sense in the interim. The question of his disappearance is replaced in the public eye by another question, with wider-ranging consequences: Why – oh, why – did he seek (or, if he was sought, agree to) the position of highest chef for Tavern on the Green, the infamously flailing fixture of New York City? We are allowed hints into the man’s future that are not promising. Jeremiah Tower: The Last Magnificent is a eulogy toward a man whose life might not have ended yet but whose professional life has come to a gradual halt. Tower has carried on his legacy through books and lectures, but Tradaglia’s film is a good and perceptive one about the particulars of what shaped it. Her style oscillates between talking-head interviews and contemplative, slow-motion shots of Tower staring off into the distance while the audio of the interviews plays out. It’s a typical biographical account but a potent one.